A man has gone to the High Court to ask permission to take his wife, who is suffering from cerebellar ataxia, to Switzerland, so that doctors there can help her end her life. It is an umbrella term for disorders of the nervous system which cause unsteadiness and a lack of co-ordination. 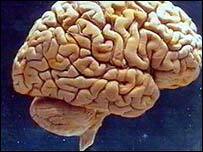 Its name comes from the word cerebellum, the part of the brain that controls balance and co-ordination. There are genetic forms of the disease. In addition, some cerebellar ataxias can be caused by brain injury, viral infections or tumours. However, in some cases it is not known what causes the condition. It is a progressive disorder. And, while it is not fatal in itself, it can place unbearable stress upon the heart. Cerebellar ataxia can develop at any age. It is a very rare disorder, with the group Ataxia UK estimating that only a few thousand people are affected in this country. Most forms of the disease are progressive. But the speed with which they progress differs between individuals. However, the disease normally develops very slowly, and it can take years for a person's condition to change. Walking can become increasingly difficult, and it may eventually become necessary to use a wheelchair. People with the condition can become incontinent. Other symptoms can include difficulties with swallowing and slurred speech. Sight and hearing can be affected. In rare cases, they can be lost altogether. However, intellectual faculties are not affected. There is currently no cure for people with cerebellar ataxia. However, there are medications available to relieve tremors and muscle spasms. People whose eye movements are affected can be assisted with botox injections.